Daniel and I started at dawn. Mist curled over the lake at Milner Pass, as we started quickly gaining altitude. 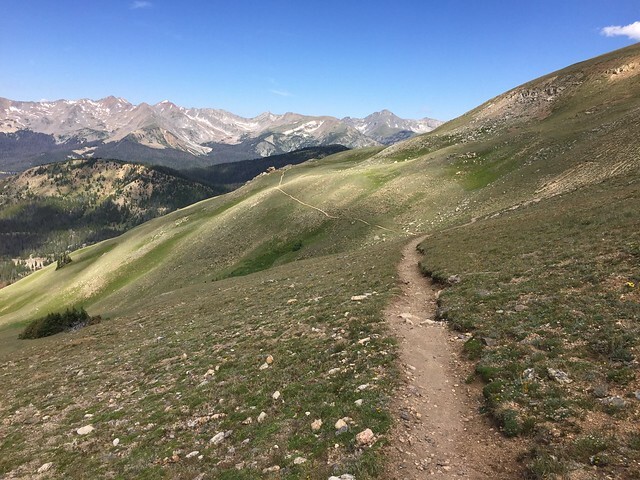 Within the first mile, we were already above tree line, and the landscape spread before us: sun and shade in sharp contrast to one another, demarcated by the ridge of mountains that made up the Continental Divide. 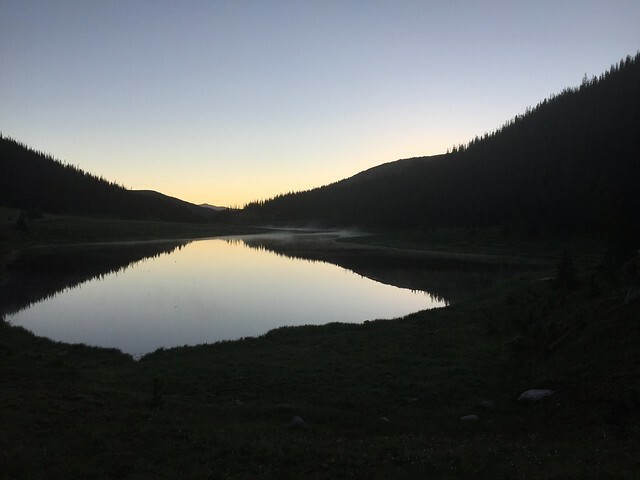 At times, the incline was too steep and the air was too thin for us to talk much, but for a large portion of the four-and-a-half hours that we hiked together, we kept up a running dialogue about marriage, ministry, and personal faith. The journey itself was highly rewarding. In terms of the destination at the end of the journey: the summit of Mount Ida was spectacular. 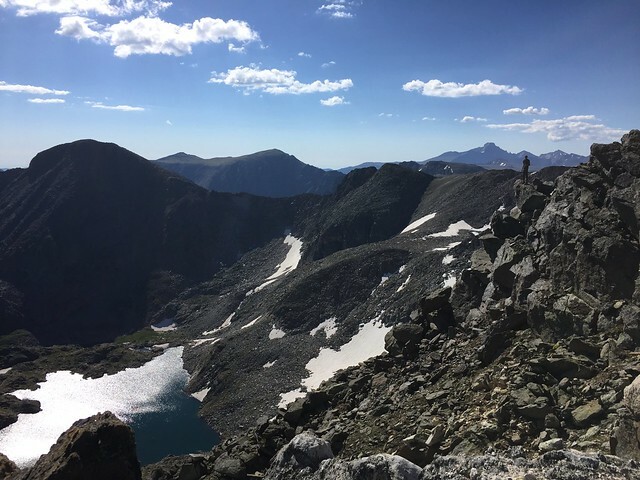 Even more than I expected (even though I’d observed that this particular hike is a trendy pick for “The Rocky Mountain National Park’s Top Hike”). At least three separate mountain ranges were visible from Ida’s summit. A dozen different lakes shimmered in the sun beneath us. Even though everything seemed pretty stable up at the top, some of the drop-offs were anxiety-inducing. I really liked the way this hike went. With just two of us, similarly matched in terms of experience and ability, we were able to move pretty quickly and still enjoy plenty of opportunities for stopping when it felt truly worthwhile. I really appreciated the space our hike provided for Daniel and I to share our lives and enjoy a memorable experience together. This entry was posted in Photography, Recreation. Bookmark the permalink.